Following news that UAE-based payment solutions provider Network International will float on the London Stock Exchange (LSE), Mastercard has agreed to make a $300 million cornerstone investment, reports Jane Connolly. As well as the investment in Network International’s planned Initial Public Offering (IPO) next month, the companies have also entered into a strategic partnership to grow the payments ecosystem in Africa and the Middle East, which they say is the world’s most underpenetrated payments market. 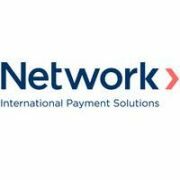 Network International is the largest payments group in the Middle East and is the first independent vendor certified by both Mastercard and Visa for payments in the region. Earlier this week, the company announced it would float at least 25% of its issued share capital on the LSE’s main market. These development projects and value-added services will include cyber and intelligence tools and tokenisation solutions for financial institutions and merchants.